One of the most important investments we can make in our lives is a decent mattress. While we spend around a third of our lives on mattresses, we often don’t prioritize them when it comes to making purchasing decisions. If you’re someone who has always owned a traditional mattress, you probably find it hard to imagine what it’s like to purchase a premium mattress. Foam mattresses like Tempurpedic have always been out of reach for many normal consumers – they can cost over $5,000, which is simply too much for a lot of people. But plenty of new mattress providers now have cheaper foam alternatives. Keetsa is one of these new manufacturers – though they have been producing mattresses for over ten years now. They’re one of the original new-wave mattress producers in the United States. 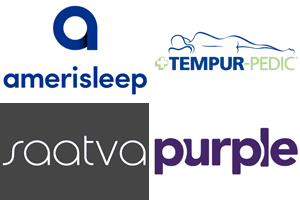 They produce a variety of all-foam and hybrid mattresses. For the purpose of this article, we’ll be taking a look at the Keetsa Cloud mattress – their most popular all-foam mattress. Keetsa is a family-owned brand that operates out of California. The owners of Keetsa aim to provide mattresses that are eco-friendly. As certain mattress products damage the environment significantly, it’s a breath of fresh air that a mattress producer understands the importance of ethical production standards. This review will help you understand if the Keetsa Cloud is the right mattress for you. Purchasing a new mattress is a big investment, so you should make sure you understand what you’re purchasing. Take in all the information in this review before making any decisions. Should I Buy the Keetsa Mattress? Keetsa is a mattress that is manufactured with the environment in mind. What you might not realize is that many mattresses are very harmful to the environment, which can create a serious amount of waste and damage to our eco-system. While Keetsa does not produce organic mattresses, they do aim to minimize environmental damage. They also attempt to reduce the amount of chemicals you’re exposed to while you sleep on the mattress. While all of these things are important, the most important part about Keetsa mattresses is how comfortable they are. You don’t want to purchase a mattress that is uncomfortable. This section is dedicated to helping you understand the way the mattress is constructed – it will give you a better idea of whether it’s the right mattress for you and your partner. The Keetsa Cloud is manufactured using a complex system of layers and materials – check it out in more detail below. 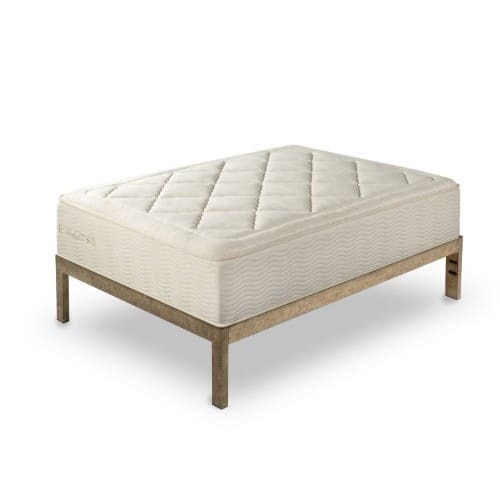 The Keetsa Cloud mattress is only constructed from foam – Keetsa has other mattress types that are constructed from hybrid materials as well. 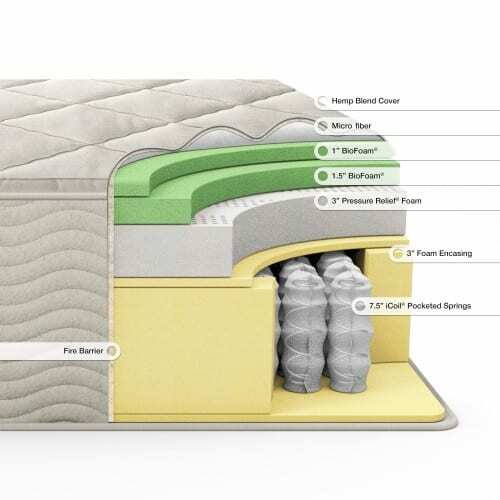 The mattress has a three-layers system that ensures a range of comfort and support. Below we will explore each of these layers in more detail. 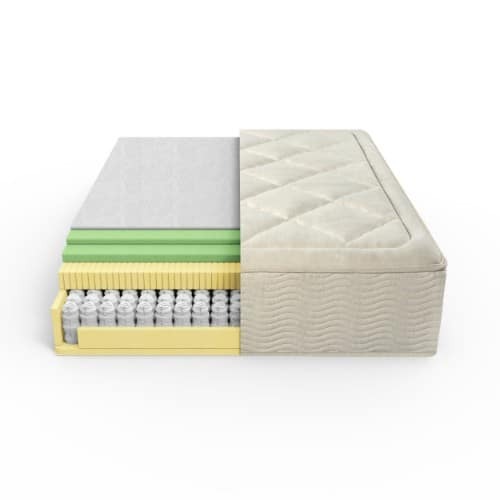 The top layer of the Keetsa mattress is constructed from a unique bio-foam – it provides plenty of comfort without using the same chemicals as many other foam mattresses. This is the comfort layer of the mattress – it is 1” thick in total. The middle layer of the mattress provides additional comfort, as well as transitional support for the next layer. You’ll find this layer of the mattress is around 1.5” thick – it’s also made from another form of bio-foam. 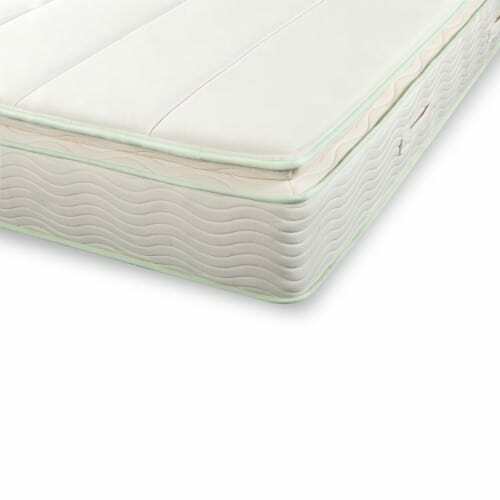 The bottom layer of the mattress is made from a base support foam – this layer of the mattress is 7.5” thick – meaning it makes up the majority of the mattress. Without this layer, you wouldn’t be able to sleep on the mattress without sinking through the material. This layer is made from a high-density support foam that provides plenty of resistance. The cover of the Keetsa mattress is a great addition to the product. While many mattress covers provide too much heat retention or interference, the Keetsa cover is designed using a simply cotton canvas cover that provides great protection for the rest of the mattress. On the inside of the cover is fire barrier that helps reduce the risk of a fire spreading throughout the mattress. The primary reason you’re reading this review is probably because you want to know what the Keetsa Cloud feels like. If you’re going to be sleeping on a mattress for the next few years, it’s nice to know that it’s comfortable. While the name of the Keetsa Cloud implies that the mattress will be soft, this is actually one of the firmest options available through Keetsa. While the top layer does provide comfort, there is still plenty of resistance throughout the mattress. In fact, we rate this mattress at around a 7.5-8/10 in terms of firmness. It’s a great choice for someone who needs a bit of extra support. In fact, this is one of the most supportive memory foam mattresses on the market. The main downside to the Keetsa Cloud is the heat retention. There are no additions to the mattress that make it more breathable – foam typically retains a lot of heat if you don’t use hybrid materials. If you’re someone who overheats when they sleep, this mattress might not be the right choice for you. Keetsa hasn’t made too many changes to their mattresses over the years, but they have provided plenty of new models. If you’re looking for an alternative to this mattress, you’ll be able to find one at Keetsa. They even have a few hybrid models that you can purchase if you don’t want a mattress that’s completely foam. Sinkage is the amount your body falls into the mattress when you lie on it. People often prefer if there is a bit of sinkage, as it provides hug and contour to the body. But if there is too much sinkage, it can ruin your support and make you feel as though you’re falling into the mattress. As the Keetsa Cloud mattress is quite firm, it only has a moderate level of sinkage. If you are of a normal weight distribution, you will find around 1.5” of sinkage in this mattress on average. If you’re someone who needs support, this is a decent level of sinkage! It’s important to focus on the mattress you’re purchasing when you’re out shopping. After all, the mattress that you purchase will dictate how comfortable your sleep is. But you shouldn’t hyper-focus on the mattress – there are plenty of other factors that need to be considered if you want to purchase a new mattress. If you’re spending hundreds of dollars on a mattress, you need to be certain that you can trust you’re getting the best deal possible. You need other guarantees from your mattress provider if you want to be up to industry standards. Don’t let a manufacturer sell you on the mattress without offering any additional benefits. It’s important you know what to look for. Check out what Keetsa offers below. Many people avoid purchasing mattresses online because they think they’ll have to pay the full shipping price. Shipping a large mattress across the nation can be extremely expensive. Fortunately, a few mattress companies include the shipping cost in the price of the mattress – this way you’re paying exactly what you see on the list price. At Keetsa, this is the case as well. The company will ship the mattress to the 48 mainland USA states – you’ll have to pay extra if you’re in Hawaii or Alaska. Keep in mind this greatly reduces the cost of the product, which is a surefire benefit for working with Keetsa if you have the option. If you live overseas, you can also order a Keetsa mattress. This being said, you’ll need to pay for shipping costs – this will vary depending on the location you’re living in. You can find more information about international shipping on their website. When you’re purchasing a new mattress, one of the most important factors that needs to be considered is how long the warranty is. If you’re someone who wants to ensure your investment is secure, you should be looking to work with a mattress manufacturer that values how important this is. Some mattress providers only offer a few years worth of warranty – many don’t exceed five years. With Keetsa, you’re in luck – you have a 12-year warranty to play with – which is a great option considering the industry standard is much lower. If you have any problems with your mattress during this 12-year period, they will either repair it or give you a brand-new mattress! Purchasing a mattress that you’ve never slept on might sound daunting. Fortunately, Keetsa provides their customers with the option of a trial period – you can return the mattress free-of-charge within this trial period if you’re not happy with the mattress. The trial period is 90 days long, giving you around three months to see how you enjoy the mattress. Keetsa Mattress asks that you wait at least 30 days before contacting them about a return – they believe it takes around a month for the mattress to adjust to your body, so they want you to be certain it’s right for you. While Keetsa operates mainly online, they also have showrooms around the country that you can use to view their mattresses. If you feel like you would still rather lie on a mattress before you decide to buy it, these showrooms are probably the best answer for you. You can find a Keetsa showrooms in the following locations: San Francisco, Berkley, Los Angeles, and New York. More details about the addresses of their showrooms can be found on their website. Keetsa is well-known for providing exceptional customer service to their clients. As a family-owned business, they want to ensure they have great customer service feedback. You can contact their customer service team any day of the week (including weekends) if you have any problems. It’s nice to know you have a solid team behind your next mattress purchase. Lastly, if you don’t think you can afford the Keetsa mattress upfront, you can use their in-house financing options to find a way to pay for your mattress. Keetsa offers financing solutions to their partners that want to spread out their payments. In fact, most people can obtain interest free financing by working directly with Keetsa. If this is something that you think you’re interested in, make sure to check out the additional information on their website. The Keetsa Cloud mattress isn’t as cheap as many of the other mattresses on the market, but there are still plenty of reasons to purchase it. If you’re looking to purchase a mattress that reduces your exposure to chemicals and helps the environment avoid contamination, this is a decent option. You won’t have to deal with the same level of chemicals that you’d find in a traditional memory foam mattress. If you’re someone who likes a mattress that’s supportive, this will also be a good choice. As one of the firmest foam mattresses on the market, there’s definitely a reason to purchase this mattress if you need support. In addition, the company has a great warranty program and customer service department. All of their additional features go a long way in helping provide the buyer with extra value. If you want to work with a family–owned business that cares about customers, Keetsa is a decent option. If you still think this is the wrong mattress for you, we have plenty of other mattress reviews on our website. Make sure to check them out before you make any decisions!